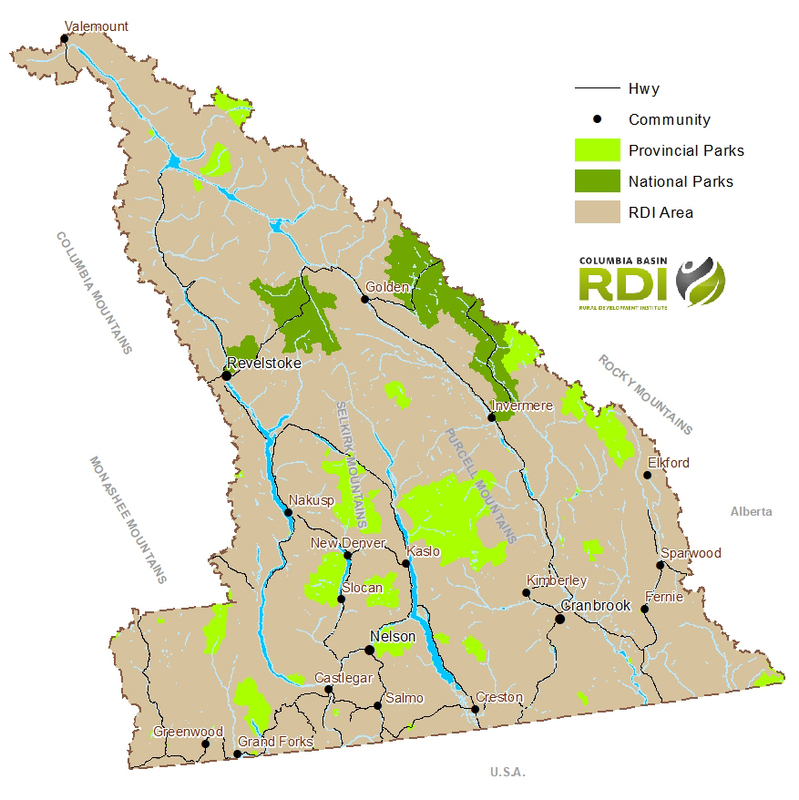 Located in the southeast corner of British Columbia, the Columbia Basin-Boundary region includes the Regional Districts of East Kootenay, Central Kootenay, Kootenay Boundary (The Kootenay Development Region), in addition to the Northern Basin (Revelstoke, Golden, Valemount and Columbia Shuswap Regional District Areas A and B). With a population of over 167,000 people and an approximate land area of 83,171 km2, the region accounts for roughly 4% of the population and 9% of the size of British Columbia. The economy is primarily resource-based with forestry and mining as key economic drivers. The region’s hydro-electric power generation accounts for approximately 44% of electricity generated in the province and the region is home to British Columbia’s largest coal fields. The Basin Boundary region is also amenity-rich, supporting a vibrant tourism industry.